The food delivery wars continue to heat up: today foodpanda, the Rocket Internet-incubated startup that offers a one-stop service to order food from a selection of restaurants and take-out joints to be brought to your door and now working with some 15,000 restaurants globally, is today announcing that it has picked up over $20 million in funding, with participation from Rocket regular AB Kinnevik, Russia’s Phenomen Ventures as well as Rocket Internet themselves. 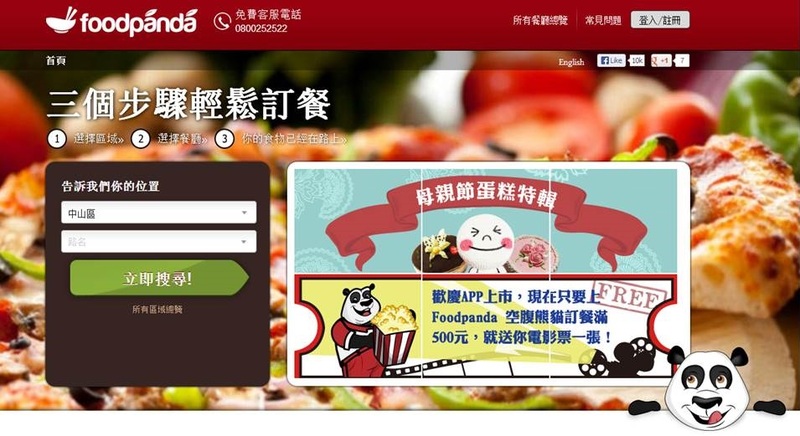 This is not only foodpanda’s first reported round of investment, but it also looks like it might be Phenomen’s first public investment in a Rocket Internet company; the VCs have previously backed other e-commerce ventures like Fab, Hailo and OneTwoTrip, as well as the YC-incubated video company Virool. Foodpanda’s funding follows a number of other big rounds for other Europe-based startups offering similar services. They include $50 million for Delivery Hero and $64 million for Just-Eat. The funding race is a sign of how, in this market of a lot of me-too players, getting critical mass and a technological edge over competitors will be key to longer-term survival and profit. Rocket Internet, founded by the Samwer brothers, has emerged over the years as one of Europe’s bigger e-commerce incubators, with notable exits to companies like eBay and Groupon. But more recently the Samwers have been setting their sites on emerging markets and tapping the opportunities there. In that regard, foodpanda is no exception. Including its sub-brand hellofood, the company is now active in 27 markets — in fact, only emerging markets, with a focus in Eastern Europe, Asia, Latin America and parts of Africa. The total list is India, Indonesia, Malaysia, Pakistan, Singapore, Taiwan, Thailand, Vietnam, Ghana, Ivory Coast, Kenya, Morocco, Senegal, Nigeria, Russia, Argentina, Brazil, Chile, Colombia, Mexico, Peru, Hungary, Venezuela, Poland, Ukraine, Romania and Saudi Arabia. Ralf Wenzel, the global MD, says that this funding will not only be used to expand to more countries, but also to build out the operations into more cities in those where it’s already active. “We do cover certain cities already but one of the things is to expand into new ones. For example, in Russia we have very good coverage in three cities but now we’d like to move to 17 more,” he said in an interview, adding that extra countries are also on the agenda. “We are launching in more Eastern European and Asian counties. We still see a lot of markets that will be very interesting for us.” Foodpanda claims that it is now the “market leader” in many of the countries in which it operates. On the subject of technology investments, one of Rocket Internet’s interesting selling points is how its companies can potentially leverage some of the other assets in the portfolio to help their own growth. Wenzel notes that in the case of foodpanda this might play out in areas like customer service and logistics — using some of the same teams and backend systems that are being rolled out for other e-commerce operations in areas like fashion and other merchandize. Another might be in how payments are taken for food. Working in emerging markets, payment card penetration is not especially high, so foodpanda is trying to come up with alternative ways of helping people pay for their food that are potentially more secure than simply taking cash on delivery. While foodpanda is not transparent on its commission structure — it varies city-by-city and depends on whether the deal is with a chain or independent, Wenzel says — he does note that there are some emerging popular categories. In Russia, most order sushi, he says; while in African countries the most popular cuisine is Mexican and in Latin America it’s Indian food.